And here’s some cool stuff I found that I wanted to share. First off, is my snapshot of a photograph from the 1920s taken by Frank Hohenberger, a native of Indianapolis who opened a photo studio in Nashville, the county seat of bucolic Brown County, Indiana. Hohenberger is famous for his portraits of the people, homesteads and landscapes of Brown County. 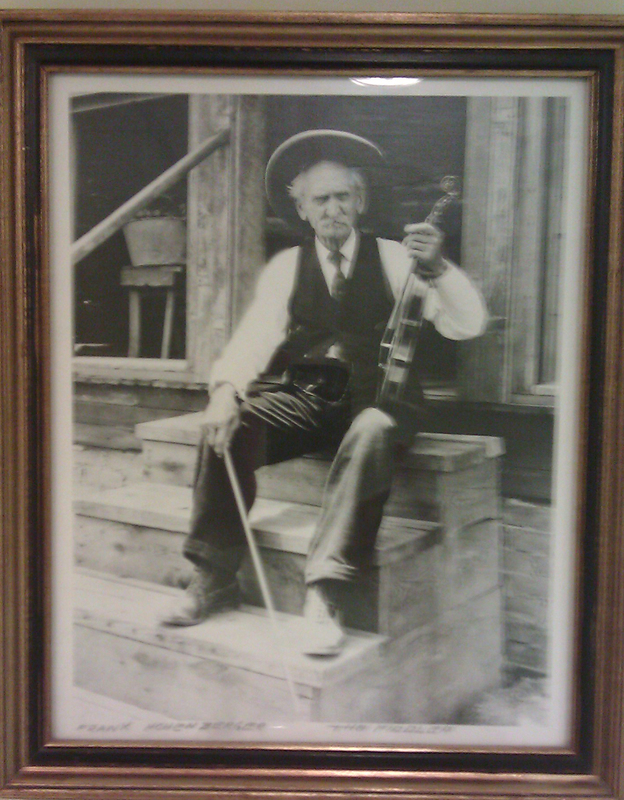 This photo, title “The Old Fiddler” may have been taken in Indiana, or perhaps on one of Hohenberger’s trips to Kentucky. The identity of the fiddler is unknown. This print is in a display of Hohenberger portraits hanging on the walls of the Indiana Memorial Union at Indiana University in Bloomington. I used to see it nearly every day as I cut through the Union on my way to the library. Several books of Hohenberger’s photos have been published by Indiana University Press. 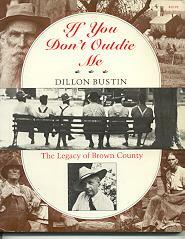 Most notable is the book compiled by my friend Dillon Bustin, a dance caller and banjoist now living in Massachusetts, with the great title If You Don’t Out Die Me. 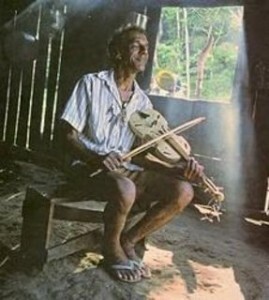 And from a neighboring continent, the haunting sounds of a three string fiddle–rabeca de tres cordas–played by the makerLeonildo Pereira from the southern coast of Brazil. Here are some photos of Sr. Pereira and his instrument. For more information and a fabulous map, check out rabeca.org. And come back in a few days for some fun English tunes to learn. Folk & Roots 2009 is a Fiddle Fest! You’ve been there. You know that the Chicago Folk & Roots Festival is always a wealth of great music from all around the world. (If you haven’t yet been, we’ve missed you. Come on down to Welles Park the weekend of July 11-12.) So many great fiddlers will be there this year we could rename it the Folk & Roots Fiddle Fest. It’s coming up next weekend: July 11 & 12. Here’s the basic info and a full schedule. What follows are some of the highlights of special interest to fiddlers and friends. There’s a lot of stuff here. I’m sure you’ll find something that moves you . . .
First up, on Thursday July 9, is a preview of Folk & Roots in Giddings Plaza in Lincoln Square. For the past 6 years this has been the invitational round of the Midwest Fiddle Championship, with the finals scheduled for the Festival’s main stage. This year the preview will feature music from the dance tent: polkas, waltzes and square dancing. Everyone is invited to dance. All the dances are easy. 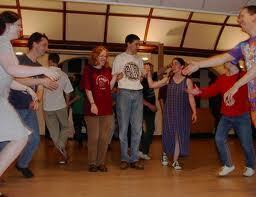 There will be instruction for the square dances. Music starts at 7 pm. The last waltz is at 9:30. Don’t miss this! Two special workshops are scheduled for 7 pm Friday evening, July 10 with Dan and Rayna Gellert. 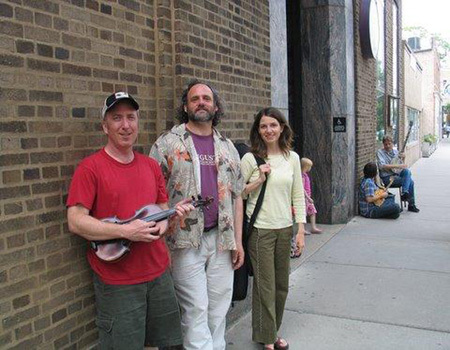 Dan was a guest at a Fiddle Club of the World meeting last March. 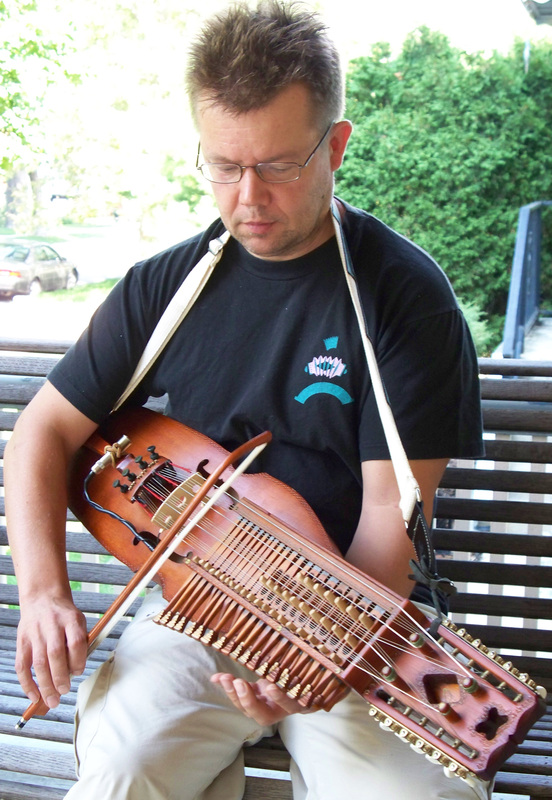 He’ll be doing a workshop on old-time banjo (clawhammer). The workshop is titled “Drum on a Stick.” Register for it here. Here’s Dan playing Lonesome John on a low-strung, gut-string banjo. Or you could do “Old-Time Fiddle with Rayna” (she’s Dan’s daughter). Register here. Saturday (July 11) is the big day. 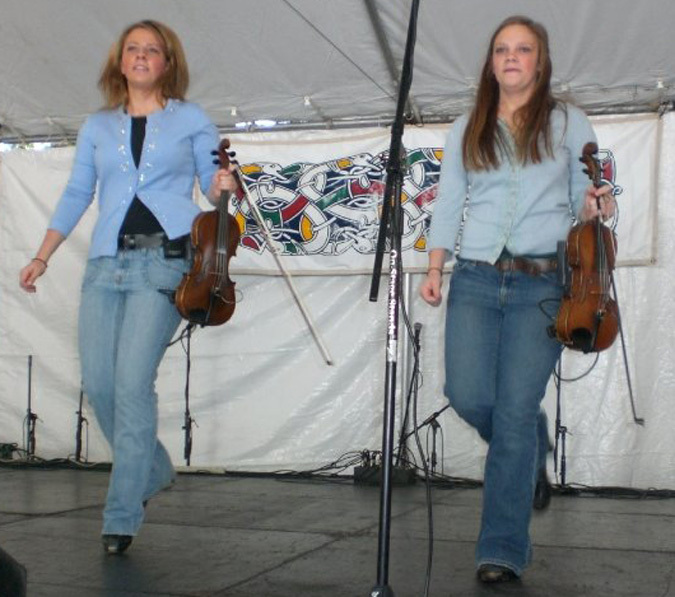 It all starts with the 7th annual Midwest Fiddle Championship at 12:55 on the main stage. This year’s contest, presented by the Fiddle Club of the World (Chicago Chapter), is an invitational for five bands. 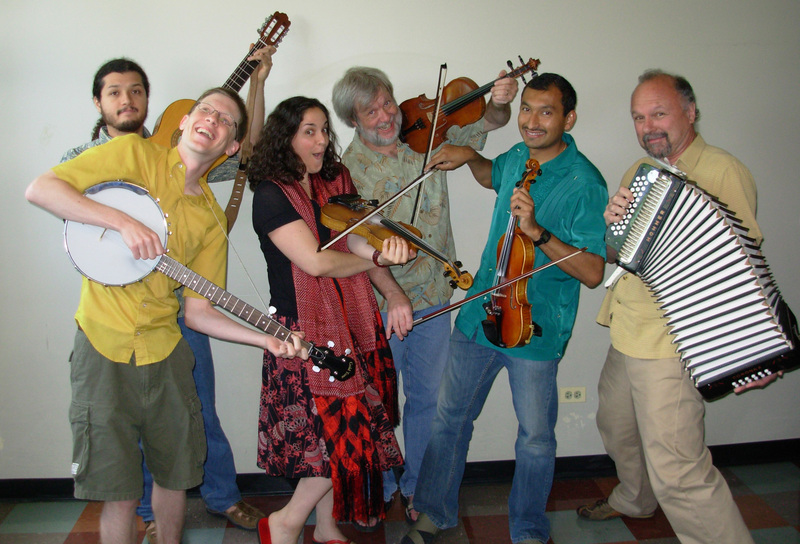 Each band will be led by one or more fiddlers, and each band must also bring along one or more dancers. The bands will compete for $1,200 in prize money. 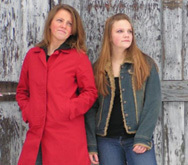 The full list of competing fiddlers is on the home page of the Folk & Roots website. There’s more. Here are the fiddle-istic highlights for the Main Stage and Dance Tent. • 1:00p | Waltz Across Chicago! For the Square Dance!, Walter Hoijka will lead a mass open band, with Paul Tyler and Lynn Garren sharing the calling. Some special guests will join the open band. 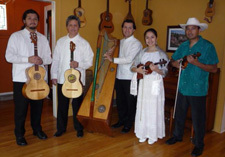 The Toe Trippers the Venezuelan classic Sombra en Los Medanos. Simbolo Norteño plays a polka. There’s still more! More fiddles and fiddle-friendly music can be heard on the Staff Stage and in the open jam sessions in the Welles Park Gazebo. Highlights include, but are not limited to, the following . . .
Let us know what you what you liked the most. Any surprises? Any tunes you heard you want to learn? See you there. 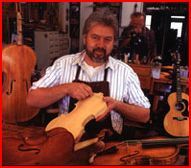 Besides being a good fiddler, Geoffrey Seitz is an excellent builder of fine violins. His shop in south St. Louis was recently featured in a St. Louis Post-Dispatch spread by photographer Erik Lunsford. 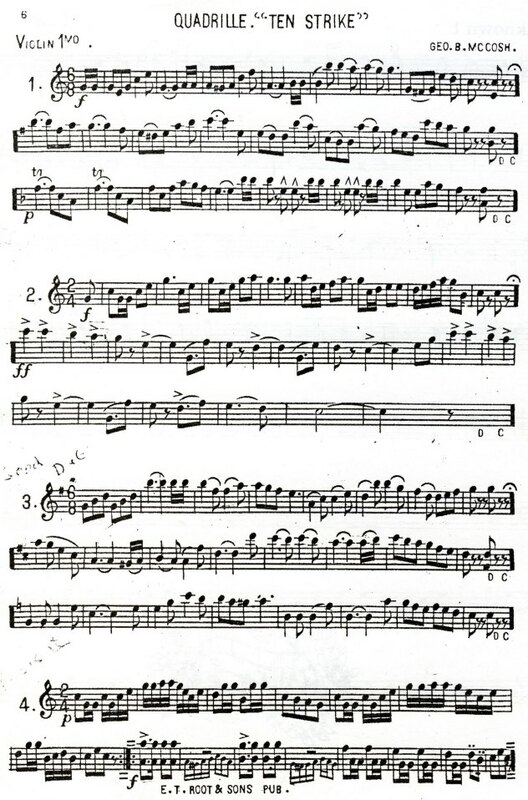 Here, with permission from Mr. Lunsford, is a link to a slide-show about Seitz Violins. Or maybe you’d like to hear Geoff Seitz play the fiddle. Here’s a couple of tracks from his 1995 CD, The Good Old Days Are Here. Learned from the great French fiddler, Joe Politte, of Old Mines, Missouri. The Louisiana of the title refers to a town in the Show Me State. A tune made up by Geoff and named after his music buddies from the Windy City, especially Chirps Smith, who was featured at a Fiddle Club meeting April 2008. It would be a good thing if Geoff could come to Chicago someday and be a featured guest artist at a meeting of the Fiddle Club of the World. I’ll work on it. Each year BobnGail (aka Bob Bovee & Gail Heil) put on one of the friendliest and funnest old-time music events anywhere–the Bluff Country Gathering–in one of the prettiest and welcomingest small towns you’ll find: Lanesboro, Minnesota. Held the weekend before Memorial Day weekend, the Gathering is four days of workshops, concerts, jamming parties, great food, easy laughter, enduring friendships and an old-time square dance. Once you’ve been, you’ll want to come back every year, so keep these links ready to register for the 2009 Gathering once it’s announced next winter. The 2008 Gathering boasted a stellar lineup of fiddlers, banjoists and other old-time musicianers. Because I canoed the Root River from Lanesboro to Whalan with my kids and our friend, bowmaker Lee Guthrie, I missed a highlight of this years gathering. Fortunately, Lynn Garren had a recorder going for the fiddle showcase on Saturday afternoon. It featured six of the finest exponents of traditional American fiddling from my generation and the next. Tom Sauber, Brad Leftwich and Alice Gerrard (of Tom, Brad & Alice), Mac Traynham, Chirps Smith and Stephanie Coleman. All have respectfully studied with elder (more or less) masters, and all have found their own comfortable places within the deep streams of tradition. Lynn generously shared sound files of the showcase with the Fiddle Club (read Lynn’s take), recorded on a Zoom H2 from the audience in the rustic Sons of Norway Lodge on May 17, 2008. All the tunes posted here are used with the gracious permission of the artists. Please download responsibly. The artists have CDs and other product available. Follow the links on the tune pages for more information. What in the World? A Fiddle Club for Chicago. The fiddle is the world’s greatest musical instrument. 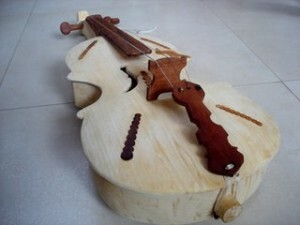 Because it is uniquely suited for dance music, and because dancing is a favorite activity of humans the world around, the fiddle is at home in all corners of the globe. Chicago is a city of the world. People came here from all over to find work and a home, to have families and build communities, to live, love and dance! The fiddle came along with many of these peoples. It crossed oceans and traveled over the plains to this teeming metropolis where masses eagerly awaited the end of each work week when they could enjoy the warm intensity of the dance hall or kitchen hop. The fiddle belongs to Chicago. One early player was John Kinzie, a Canadian-born Scotsman who dealt his hand-wrought silver jewelry to the region’s Indians in exchange for furs. Frenchman Mark Beaubien, a native of Detroit, played the fiddle in his Sauganash hotel while his young son step-danced on the table in a command performance for Potawatomi Chief Shabbona. Nelson Perry, a musician who advertised his services as a “man of color,” available for parties and assemblies, played fiddle in a multi-racial orchestra for a New Year’s ball in newly-incorporated Chicago in 1834. 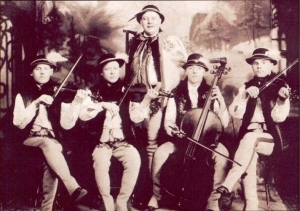 The Horenberger brothers, of German stock, played their fiddles so the young people of 19th century Deerfield could dance in the large home of the Carolan family, immigrants from Ireland. 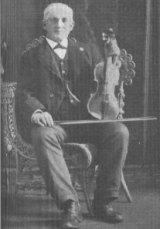 At the end of the century, when Francis O’Neill (superintendent of the Chicago police force) was gathering instrumental melodies for his landmark collection, O’Neill’s Music of Ireland, his sources included Timothy Dillon, a Chicago policeman who had been born in 1846 in County Limerick, and a secretive fiddler named O’Malley, who played “like a house on fire,” despite missing a finger on his left hand. Another favorite source of tunes was Edward Cronin, a weaver from Tipperary who, when he came to Chicago, worked a grinding wheel at the Deering Harvester Works. The fiddle, though long associated with ancient sounds and old village ways, continued to thrive in Chicago as the city marched through the 20th century in lock-step with the forces of industrialization and modernization. Fiddlers in Chicago adopted new technologies and adapted to changing tastes in popular culture. Chicago became truly the second city for America’s burgeoning record industry. 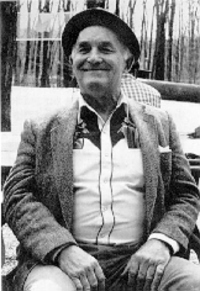 Among the thousand of musicians who came here to etch their artistry in shellac were such giants as Russell “Chubby” Wise, who set the paradigm for bluegrass fiddling with Bill Monroe & His Blue Grass Boys, and pioneering western swing fiddler Jesse Ashlock with Bob Wills & the Texas Playboys. 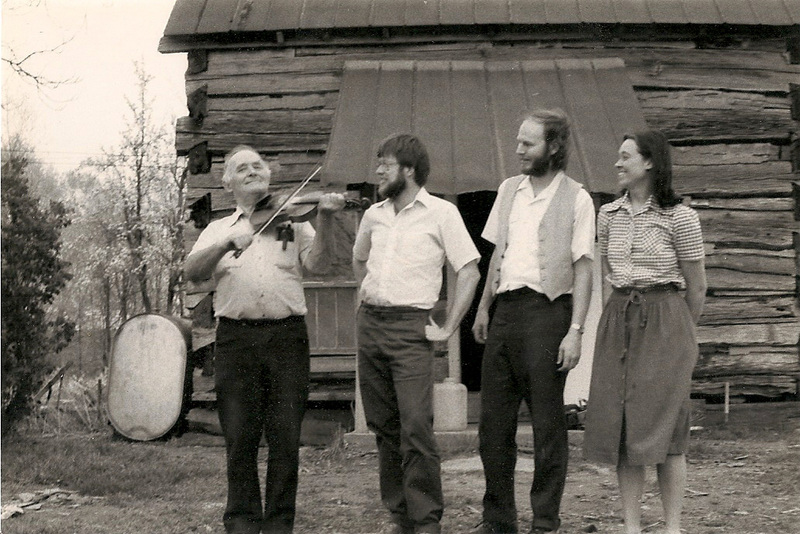 Local recording artists who were notable in their own communities included Irish fiddlers like Patrick Stack and Johnny McGreevy (who also was described as playing like “a house afire”), and Karol Stoch, a recent immigrant from the Tatra Mountains in Poland. 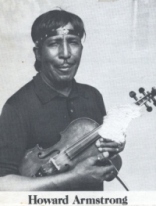 At the same time, Eddie South was establishing a benchmark for jazz violin while leading such groups as Jimmy Wade’s Syncopators and his own Alabamians. Other fiddlers who recorded here have faded into obscurity, though they left behind tantalizing traces of their artistic endeavors. B.E. Scott cut four sides here for Paramount in 1925. Only recently have we learned that he was Benjamin Scott, a railroad worker from Mattoon, Illinois. But we don’t know the name of the fiddler in the Ukrainian Orchestra Apolskoho who recorded in Chicago for Victor in 1929. And from whence came Mexicano fiddler José Menéndez, who that same year recorded here for Vocalion? Was he a Tejano or from south of the border? Did he make his home here in Chicago? Chicago was also an important center for the development of radio broadcasting. One of the jewels in the city’s crown was the successful endeavor by WLS to target programs for farmers and rural Americans. 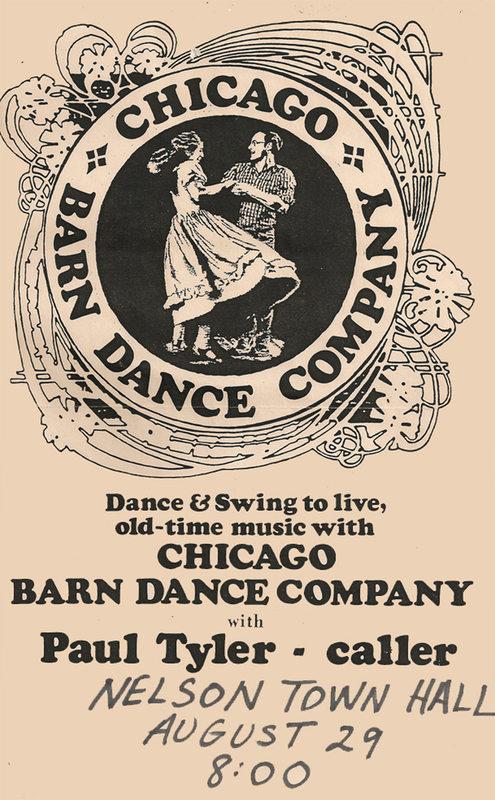 The station’s long running National Barn Dance kicked off in 1924 with the sounds of an anonymous fiddler. 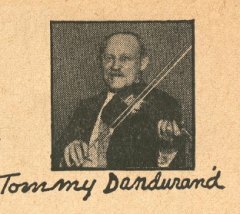 Within the show’s first half year, at least twenty old-time fiddlers from the Midwest had performed on the WLS airwaves, including Kankakee native Tommy Dandurand, William McCormack from Marseilles and Frank Hart from Aurora. 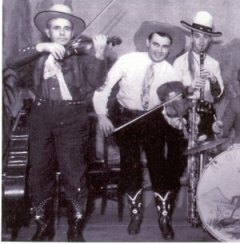 They were followed by such luminous country music stars as Clayton McMichen, a fiddler with the Atlanta-based Skillet Lickers who started his own Georgia Wildcats, David “Tex” Atchison of the Prairie Ramblers, and Curt “Dott” Massey of the Westerners. First place went to French-Canadian Leizime Brusoe, a resident of Rhinelander, Wisconsin. His prize included a trophy, $100, a recording contract with Okeh Records (apparently never executed), and a six-week vaudeville tour on the Orpheum Circuit. In the next two decades, Brusoe performed with Rube Tronson’s Texas Cowboys (a house band for the National Barn Dance), led his own orchestra back home in Rhinelander, and recorded several dozen tunes for folk music archives at the University of Wisconsin and the Library of Congress. 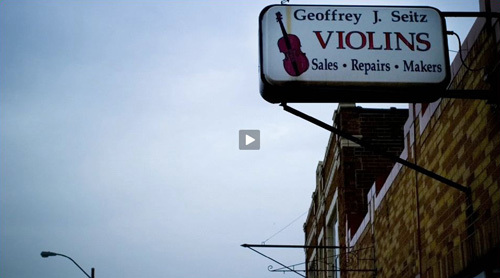 Reports of the imminent demise of old-time fiddling in Chicago and elsewhere were premature. The end of the twentieth century saw another great revival of interest in old-time fiddling. 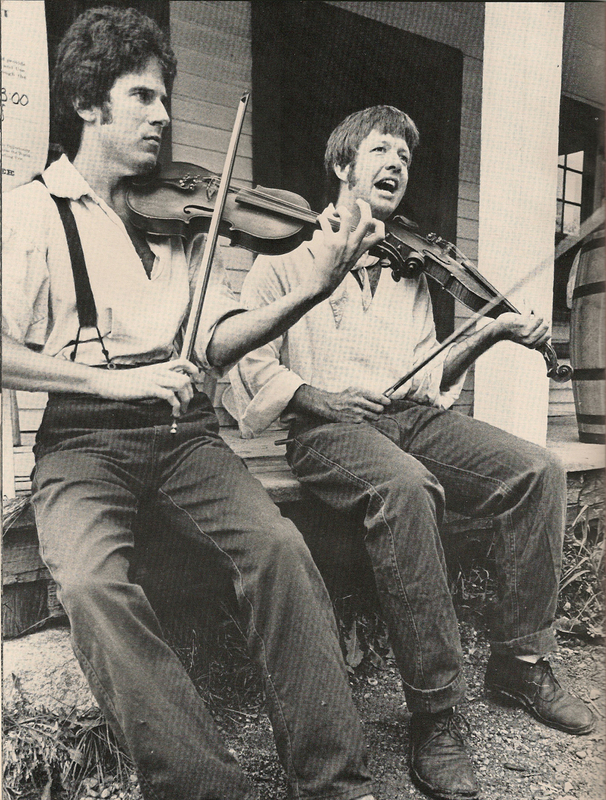 Senior fiddlers, like Howard Armstrong and Johnny McGreevy, made comebacks that took them to folk festivals and brought them before new audiences all around the Midwest. Armstrong, who had recorded in the 1930s as part of the Tennessee Chocolate Drops, made three albums in the 1970s with Martin, Bogan and Armstrong (the last two were for the Chicago-based label, Flying Fish Records). 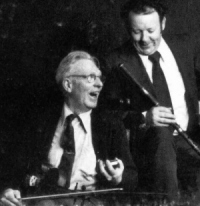 Johnny McGreevy recorded LPs with local uillean piper Joe Shannon and flutist Seamus Cooley. There were plenty of young disciples eager to follow in the footsteps of their elders, part of a grand generation of masters who have since left us, may they rest in peace. Besides scores of new fans and players, numerous clubs and organizations have rendered aid for the passing on of the cultural treasures of traditional fiddling. 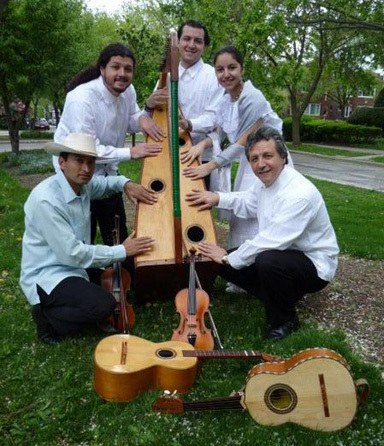 A partial list includes the Chicago Barn Dance Company, the University of Chicago Folk Festival, the Irish Musicians Association of Chicago, the Polish Highlanders Lodge, the Chicago Spelsmanlag (Swedish), and the mariachi program at Benito Juaréz High School in Pilsen. As for myself, I have played the fiddle for over thirty years. In the beginning, I was self taught. But within a few years I received valuable mentoring from senior fiddlers in my home state of Indiana. I am grateful to Edgar Hursey of Ligonier, Clay “Pete” Smith of Star City, and Ken Smelser of Paoli. There are no words of gratitude sufficient for the wealth of music and wisdom I gained from my long associations with Lotus Dickey of Paoli, Francis Geels of Decatur, and Les Raber of Hastings, Michigan. 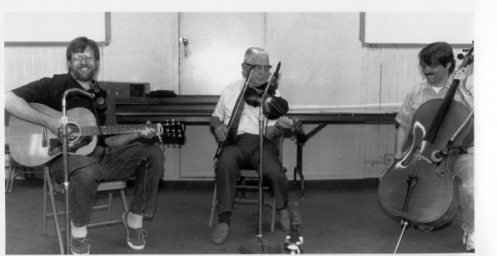 Since 1990, I have been teaching fiddle at the Old Town School of Folk Music, along with, over time, a dozen other fiddle teachers. We’ve done our part, and as a result, there may be more fiddlers per capita in Chicago than anywhere else in the country. Well, maybe not. But there are a bunch of you out there fiddling for your own enjoyment, playing for dancers, or finding community and friendship in one of the many jam sessions that have sprung up. Some of you have earned financial rewards (don’t quit your day job), while many more of you are amply satisfied with the social and aesthetic payoffs of making music. This Fiddle Club of the World is for you. Learn some tunes. Come sit up close and listen to a modern day master. Stretch your horizons. Cross a few boundaries. Order a beer. Let’s have a tune.